Over the last decade, a collection of social change efforts — including (but not limited to) Black Lives Matter, Occupy Wall Street, the climate movement, third-wave feminism, LGBTQ rights activism, Fight for $15, and the Moral Monday protests — have helped focus much-needed attention on many painful realities about life in the United States today. With Donald J. Trump’s ascension to the White House, many more are and will be engaging with these and other causes: the recent Women’s March on Washington was the largest demonstration in American history; organizations like the ACLU, Planned Parenthood, and the Committee to Protect Journalists have seen unprecedentedly large donations; Fight for $15 and Black Lives Matter are preparing to launch their first joint action as part of a “broadening of the coalition”; and the membership of the Democratic Socialists of America has tripled since last year. It should not be a surprise, then, that, within religious communities, liberation theologies (those in which the emancipation of the oppressed from all forms of suffering is centrally important) seem to be having a moment. For example, in 2015, Gustavo Gutiérrez, who is considered one of the founders of the movement, was invited by Pope Francis to be one of the main speakers at a Vatican gathering of Catholic charities. In addition, as part of the process towards canonization, the Church is currently looking into a miracle attributed to another key figure, El Salvador’s assassinated Archbishop Óscar Romero. Harvard anthropologist and physician Paul Farmer recently spoke at length about the influence of liberation theology on his international humanitarian nonprofit Partners in Health as well. Looking at events in Ferguson, Baltimore, and Cleveland in 2015, divinity student Daniel José Camacho also authored a powerful piece at Religion Dispatches, underscoring the percipience and enduring importance of black liberation theology. “Will Christians who have long dismissed [movement founder James H. Cone] ever admit that he was right?” he asks. Though the Western world is less familiar with his name than Gandhi’s and Nehru’s, Ambedkar is no less a towering, founding figure in modern India. Born a shudra (“untouchable”) in 1891 in what is now Madhya Pradesh, he went on, through his enormous intelligence and sheer force of will, to receive doctorates from both Columbia University and the London School of Economics, and pass the English bar. Despite these remarkable accomplishments, however, he returned home to caste-based discrimination in a variety of situations. But rather than take it all lying down, Ambedkar was motivated by these experiences to lead the charge against social oppression and exploitation in India. These efforts included organizing mass protests of Dalits (the preferred moniker for his caste), founding the Independent Labour Party, and authoring the influential jeremiad Annihilation of Caste. Following the country’s independence in 1947, Ambedkar was appointed by Congress to be India’s first Law Minister as well as Chairman of the Constitution Drafting Committee. 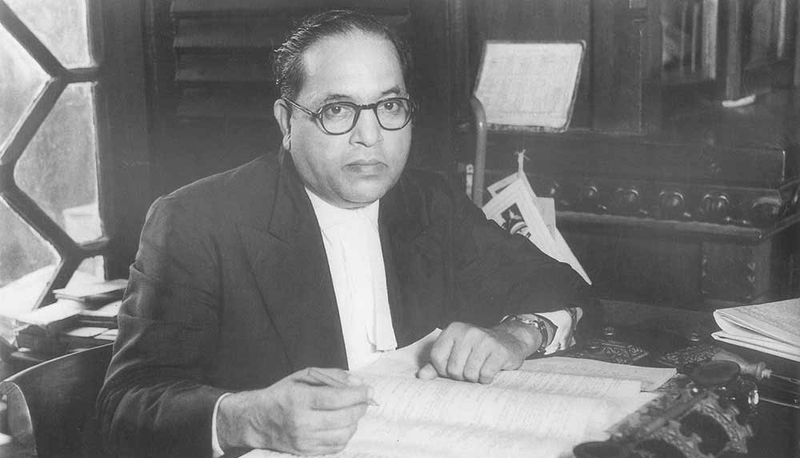 But his extraordinary influence was not limited to the political realm: toward the end of his life, Ambedkar also took on the mantle of “religious reformer.” Concerned about implicitly supporting caste through his religious identity, he sought a worthwhile path that might also disrupt the social order and provide a felicitous conversion option for Dalits. He settled on Buddhism shortly before his death in 1956. The indigenous religion’s emphasis on the unsatisfactory nature of life and its strategies for overcoming suffering, as well as the Buddha’s own denunciation of caste and full inclusion of the Dalits, all made for a strong fit. Of course, Ambedkar’s embrace of Buddhism came with a formidable critical consciousness that gave precedence to matters of social justice. His vision of what the faith could be became his crowning achievement, The Buddha and His Dhamma, which was published posthumously in 1957. Even in its sometimes rough and unfinished state, the book remains one of the most intellectually rigorous, stirring, and incendiary works of Buddhist theology ever written. In addition, just as he’d hoped, Ambedkar’s conversion had profound effects not just on theory but also in praxis. In a ceremony at Nagpur, he accepted the three refuges and five precepts from a group of monks — an act that customarily marks a conversion to Buddhism. Ambedkar then took the explicitly revolutionary step of converting a gathered throng of 500,000 Dalits himself. Not wanting to participate in Buddhist sectarianism by choosing one of the established schools for himself and others to follow, he announced that they would “accept and following the teachings of Buddha” through a new “socially and morally concerned” vehicle called the Navayāna. He then put forward twenty-two unique vows for followers, which further articulated the path and offered empowering repudiations of caste and Hindu theology. Today, Dalits of all religious persuasions continue to endure violence, discrimination, and other forms of persecution. Buddhist conversions inspired by Ambedkar’s have also continued over the decades, and the total population of Dalit Buddhists worldwide is now in the millions (though the vast majority can be found in Maharashtra). It’s rare, though, that their voices get the kind of amplification that other Buddhist voices receive. In addition, their singular forms of practice tend not to be well understood in the United States. I can’t and wouldn’t presume to speak for modern Dalit Buddhists and their concerns, however, so this piece will, for the most part, restrict its comments to the theology of Ambedkar and why I think other kinds of Buddhist practitioners in the U.S. ought to take it more seriously. The suggestion that Navayāna teachings should be more fully included in the marketplace of Buddhist ideas, though, will likely be met with nervousness, if not outright resistance, from some American scholars, practitioners, and scholar-practitioners. Part of this has to do with a belief that Dalits convert as merely a gesture of self-selection out of the caste system, and not because of any genuine inclination towards Buddhism. (Most Dalits, however, remain practitioners of Hinduism, and there are converts to other religions, like Christianity.) Another part of this also has to do with tendencies in some circles toward what we might call “dharmic literalism” — a propensity to deem as heresy anything that falls outside the most obsequious interpretation of scripture. Yet another part of this also has to do with what has been called “an elitist streak in American convert Buddhism.” A diverse swath of the population is represented within the community, and the majority are Asian American, but converts (mostly white and upper-class) cast a long shadow in terms of how the religion is studied, what aspects get air-time in mass media, and where funding goes. An inordinate amount of time, space, and resources, then, gets dedicated to things like mindfulness meditation (now a multi-billion-dollar industry), and that focus tends to tilt in a direction that is “individualistic,” “ethically-neutral,” and “consumer-oriented.” Predictably, “bourgeois Buddhists” don’t show much solidarity with either the proletariat or dharmic liberation theologies. That said, there are legitimate questions raised by Ambedkar’s dharma that, without proper responses, would likely present further obstacles to potential audiences. Responding to these queries is also beneficial in that the answers necessarily illuminate some of the very Navayāna teachings that would be useful for Buddhists in the United States to consider. In the introduction to Oxford University Press’ annotated, critical edition of The Buddha and His Dhamma, for example, editors Aakash Singh Rathore and Ajay Verma treat possible stumbling blocks as crucial gateways to the primary text. Though the questions I see have some overlap with theirs, mine are calibrated to those American audiences who have historically been dependent upon the often very limited portraits of Ambedkar and Navayāna Buddhism offered by dharma teachers, scholars, and journalists. I. How Buddhist was Ambedkar really? And did he make things up? Ambedkar’s primary goal with The Buddha and His Dhamma was to reach rank and file Dalits, not ivory tower intellectuals. As such, the book’s initial design ensured that it would be viewed as a popular tract, and not a stodgy piece of academic research. Its superficial appearance, though, made it vulnerable to certain accusations. The lack of footnotes, for example, was immediately taken advantage of by those opposed to Ambedkar’s project. “The conservative book journal The Light of Dhamma wrote a highly critical review of the book [at the time of its publication], wherein Ambedkar was criticized for not citing his sources,” Rathore and Verma explain. “The suggestion was even made that this was an intentional tactic on his part to hide the fabrication of sources in support of his ideology.” Building upon the work of many other scholars, their edition of The Buddha and His Dhamma returns those footnotes, showing from where exactly in the canon Ambedkar was drawing his information. It’s a decisive addition to the field of Buddhist Studies, putting to rest doubts about the Navayāna’s pedigree. Even Ambedkar’s most daring gambit, the suggestion that the possible outbreak of tribal war over the water of the Rohini River was what truly inspired the Buddha to undertake his spiritual quest (and not existential crisis as a result of his first encounters with sickness, old age, and death in adulthood), has found reinforcement, albeit in an unlikely place: in their groundbreaking 1992 study This Fissured Land: An Ecological History of India, Madhav Gadgil and Ramachandra Guha argue that the development of nonviolent religions like Buddhism and Jainism were in part responses to “an increasing social awareness of the need for readjustment through the more efficient and conservative use of resources” that came about because of the “over-harvesting and erosion of the resource base” during that historical period. This certainly lends support to Ambedkar’s suspicion that the conventional explanation for the Buddha’s renunciation may be more mythic than literal. Despite all of this, though, there has been a persistent sense in many corners that the Navayāna is of dubious Buddhist heritage. Worse still, this erroneous view has often given rise to a patronizing, “we have to save them from themselves” attitude. One surprising example of this paternalism comes from the late feminist scholar-practitioner Rita M. Gross. In her final book, Religious Diversity — What’s the Problem? : Buddhist Advice for Flourishing with Religious Diversity, she is ostensibly confounded that Ambedkar’s path has “survived,” and writes disparagingly of “a very low state of learning among Navayāna Buddhists…[and the] little contact [they have had] with the rest of the Buddhist world, which really inhibits their becoming more informed about what Buddhism involves.” The “state of learning” critique hinges not only on Gross’ subjective measurement, but also a stupefyingly tactless implication: that the “poverty and cultural differences” she herself acknowledges do not excuse an oppressed people for not having achieved her arbitrarily defined level of theological education. In addition, the claim that Dalit Buddhists have had “little contact” with “the rest of the Buddhist world” is not quite true: the UK-based Triratna Buddhist Order has long been working with the community, and has also helped host outside spiritual leaders, including Vietnamese master Thich Nhat Hanh (who drew over 350,000 to his 2008 teachings in Nagpur). Furthermore, there are Navayāna dharma centers in diaspora, such as Toronto’s Ambedkar Mission. Gross’ treatment of Ambedkar himself is similarly obtuse. She claims, for instance, that he “received no real instruction from Buddhist teachers and had only very limited experience in a Buddhist environment.” While the bulk of his religious education did happen near to the end of his life, it was not insubstantial: among other things, he traveled to Sri Lanka and Myanmar to learn more about the faith, attended gatherings of the World Fellowship of Buddhists, and met with such important monastic figures as Hammalawa Saddhatissa. Gross’ assessment, then, raises certain questions: What comparison is being made when she deems Ambedkar’s experience “limited”? What standard is being used to judge whether or not the instruction he received was “real”? Whose Buddhism is being used as the authoritative standard here, and why? In the end, with pronouncements like Gross’, scholars and teachers wind up revealing far more about their own particular leanings and biases than they do about Ambedkar and Navayāna Buddhism. II. Did Ambedkar just dress up his politics with Buddhism, or vice versa? But to quote Rathore and Verma: “[What] religious text is free of its authors’ thought?” Martin Luther, who inspired the Protestant Reformation, “was also accused of theologizing his political views and politicizing scripture,” they remind us. So it really is dirty pool for scholars to single out Navayāna Buddhism for this kind of fault-finding. While it is fair to critique any interpretation, of course, Ambedkar’s contextualized theology is hardly an outlier in the history of the religion. Harvard scholar Christopher S. Queen, for example, situates Ambedkar within a very long lineage of thinkers who “reframed and reinvented central elements of Buddhist teaching…for [their] time,” including such luminaries as Nāgārjuna, Asaṅga, Zhì Yǐ, Candrakīrti, and Fǎzàng. In addition, as scholar-practitioner Reginald A. Ray has rightly noted, “Historically, it has often been from…institutionally peripheral sources that the truly fresh and vigorous creativity of Buddhism has continued to unfold in the world.” To be sure, it’s doubtful Buddhism would be a modern phenomenon at all without interpreters like Ambedkar. As Rathore and Verma also note, “the demand that a presentation of religious or philosophical material should be free of political assessments and aspirations is itself an implicit doctrinal interpretation to the effect that religion is inherently apolitical.” So, again, we might be learning more here about the idiosyncrasies of scholars than anything else. It’s also important to mention that there is much debate about how “new” the ideas of socially-engaged Buddhist thinkers like Ambedkar actually are. In addition, a spate of recent scholarship not only challenges established notions about the sociopolitical nature of early Buddhism, but also gives credence to aspects of Ambedkar’s exegeses. III. Is Navayāna Buddhism anti-monastic? Scholar Gail Omvedt pithily explains Ambedkar’s intellectual evolution as going “from conventional liberal economics through Marxism to an effort to express a Buddhist perspective on a welfare state.” This trajectory certainly accounts for some distinctive features of the Navayāna. Ambedkar’s best known slogan (“Educate, agitate, organize!”), for example, comes not from a Buddhist source, but from the socialist Fabian Society (which founded his alma mater the London School of Economics). This philosophical journey might also explain Ambedkar’s approach to spiritual leadership. Though monks and nuns are considered to be the top of Buddhist hierarchy in most cultures, the Navayāna takes a more radical position: any adherent may convert others, just as Ambedkar did. In The Buddha and His Dhamma, he advocates for nonhierarchical thinking, writing, “No caste; no inequality; no superiority; no inferiority; all are equal. Identify yourself with others. As they, so I. 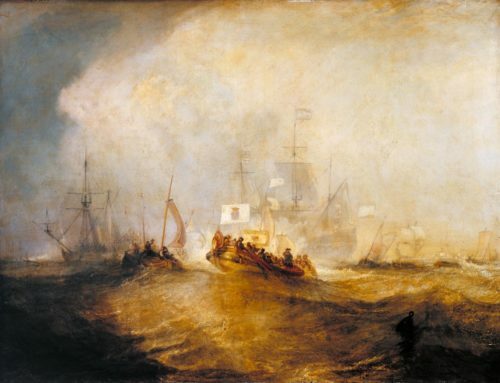 As I, so they.” He also has no truck with elitist, self-interested clergy, saying, “Since the [monastic] is the torchbearer of [Buddhism] he must be one with the masses and he can do so only in the role of a social servant.” This is why authority figures within the Navayāna look very different from those in other schools; as described by Queen, Dalit Buddhist leaders, in keeping with Ambedkar’s conviction, take the form of “lay activist-intellectuals, politicians, reformers, social workers, writers, and artists,” as well as those who found “advocacy and service organizations, and schools and colleges.” Rather than preach the dharma from on high, they lead by example with practical action in support of everyday people. Because the Navayāna can be seen as subverting Buddhism’s traditional models of pedagogy and authority here, many may choose to ignore or decry this aspect of Ambedkar’s dharma. But given the disgraceful scandals and instances of clergy abuse that continue to plague Buddhist American communities, the Navayāna’s approach to spiritual leadership might have a thing or two to teach practitioners in the U.S.
IV. Isn’t Navayāna Buddhism only for Dalits? As Buddhist Americans look for ways to help their badly broken country, they have essential and precious inspirations waiting for them in the teachings of Dr. B.R. Ambedkar and Navayāna Buddhism. They need only be receptive. Daniel Clarkson Fisher co-founded the Master of Divinity in Buddhist Chaplaincy program at University of the West in Rosemead, CA, and is co-editor (with Nathan Jishin Michon) of A Thousand Hands: A Guidebook to Caring for Your Buddhist Community (Sumeru Books, 2016). He has also written for such publications as AlterNet, Lion’s Roar, Religion Dispatches, Tricycle: The Buddhist Review, Patheos, Bright Lights Film Journal, Nonfics, Buddhadharma: The Practitioner’s Quarterly, and the Journal of Religion & Film. He now lives in Toronto, where he serves on the Buddhist Studies Advisory Committee at Emmanuel College of Victoria University in the University of Toronto, and is a student in the MFA Documentary Media program at Ryerson University. Find him online at danielclarksonfisher.com. Thanks, Stefan! Your articles are wonderful.